If you are concerned that someone is invading your privacy, or trying to steal information from you using listening devices or cameras, then you need to contact a bug sweeping service. But, how do you ensure that you hire the best company for the job at hand? Read on and find out. If you discover a bug, or come across any of the warning signs that there is a bug in your home or place of work, then you need the services of a private investigator who is experienced at bug sweeping. While it is important to act quickly, it is also important to get the right company for the job. Start by looking for a company that has experience in working with your business sector, or has experience of home counter surveillance. Ensure that they have operatives in your area and that they are able to work around your timetable; you need to get the sweep done quickly, but without raising suspicions. Once you have a shortlist of companies, look for those that provide a secure phone line for you to contact them, and that provide you with a full service, even after the bugs have been found. There is little point having an excellent team do the sweep if you are then left with no support with regard to the removal of the bugs or taking further action. The very best of companies will also provide you with a full security risk assessment prior to the sweep and a report after the devices have been dealt with. All of these key elements are available through Advanced Sweeping. We have highly trained and skilled private investigators that will work quickly to understand your level of risk, and then provide a full bug sweeping service with full confidentiality. 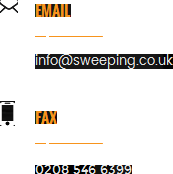 Find out more about our terms and realistic pricing options at http://sweeping.co.uk/.